Finished the bottom frame/ base. Heavy as hell. I won't be able to work on it any more this weekend. Forgot the picture. Also I'm on 8" OC with the boards. 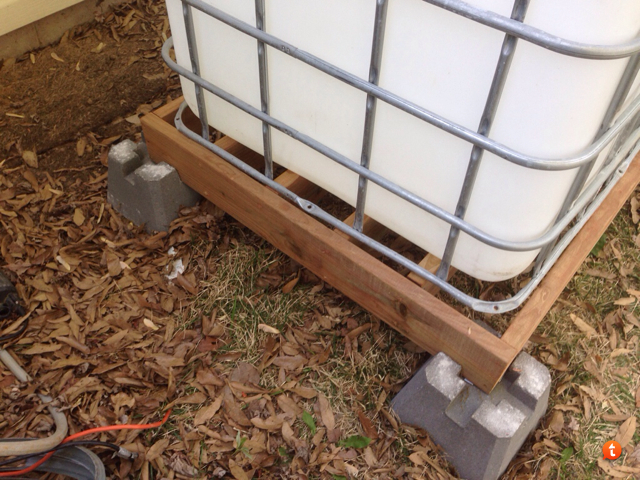 Thinking about removing the pallet base from the IBC tote used for the fish tank. It does not look the sturdiest and may not be worth the time to try to fix a few broken welds or corners. The cage itself is in good condition. What size torx tip is needed to remove the base from the cage? I don't have a set that goes that large, but may just be able to remove the nut with a socket on a drill. What size torx tip is needed to remove the base from the cage? NVM I just used a wide flat head bit and only used 2 out of the 6 points worked great but the 2 smaller ones near the valve is a odder size. Used the bit for the deck screws with some side pressure and they came out OK also. Kind of like a gear within a gear. Here is what I have now. Needs to be leveled and have floor boards or subfloor put on. Then can be wrapped in insulation or foam and have plywood attached to the outside. These where just from the morning after. Still needs to be leveled. Put around 50-60 gallons in it to kinda kill the grass and imprint the ground. I did end up putting the stamped IBC base under the fish tank after I had taken these photos. Not the bent tube pallet frame. Any suggestion on this or is it ok? Ok rain is out for a few days...hopefully. I will start leveling the fish tank tonight if I can and start digging for the sump. Fish tank is starting to breed mosquitoes so I have now dumped all the water I can. Maybe could have tried a few goldfish in the rain water to eat the bugs? Mosquito dunks are BT, and as such, safe to use in your system. Not sure what BT is but besides the mosquitoes I have massive oak catkin strings in it. Defiantly would clog a pump or SLO. Bacillus thuringiensis, or BT for short, is a bacteria that acts as a very targeted insecticide. Mosquito dunks are made with the strain that kills mosquito larvae. Dipel kills caterpillars, and Gnatrol kills fungus gnat larvae. They are quite safe to use in your AP system, as they only kill the larvae of the insects that are cultured for. They are even certified organic. I was able to get the fish tank leveled yesterday and today slept in a bit and started digging out for the sump. I'm about a 1/4 of the way on the hole for the barrel . I'm surprised how many larger roots are in that area slowing me down. Also it is a heavy clay type soil to dig in anyway. Video rendering of what I have so far should be up later tonight.